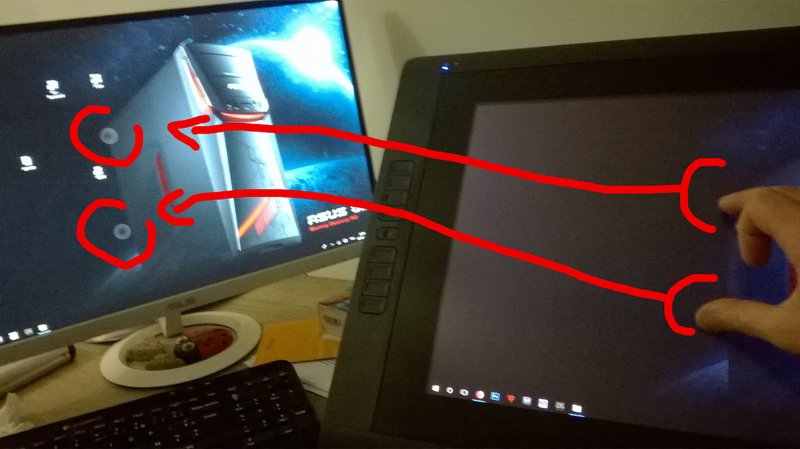 I have a 24 hd touch Cintiq, and I have a problem with it, the pen with pressure is still running, but the touch with fingers no, and appears on my other screen which is a normal screen. It appears when I made an update of my drivers. Before, it works good, and after with update it becomes unstable, and now no touch. I tried to install a fiew older drivers, but it doesn't work, I called the hotline which gave me the procedure to uninstall the tablet and the drivers. I made it, but allways not working. So does someone has the solution ? I guess you are using Windows. In this case go to control panels -> TabletPC Settings -> Setup -> Touch, then specify the Cintiq as the monitor for touch. Sometimes Windows is confused. thank you for your answer, I resolved the problem by changing the "master" screen, which was the other screen.